Dining in Branson can be uniquely experienced if you eat at Andy B’s Bowl Social because aside from the delicious food that you will enjoy, you’ll get to enjoy friendly competition in a bowling game. Only opened last Fall 2018, Andy B’s Bowl Social is a full-service restaurant and bar that serves up modern American eats, regional brews and craft cocktails alongside a mix of fun games and attractions. This new dining attraction in Branson that’s combined with sports facilities will provide fun for all ages to enjoy family dining, great bowling games, and fantastic nightlife. Andy B’s Bowl Social has nine locations in the Midwest, and two new areas are being developed. Andy B’s Bowl Social is owned and run by Andy B’s Entertainment & Bowling Centers. With headquarters at Springfield, Missouri, the bowling and entertainment company has its goal of bringing great fun to music fans and sports enthusiasts. The company is focused on providing fun to visitors of all ages which is one of the objectives. In this unique dining and sports facility, you’ll find great tasting food, hand-crafted beverages, and handful fun games and attractions, combined into a cool hangout by the locals and visitors alike to enjoy awesome fun and entertainment. Dining with some fun games is at the heart of the concept, so space is created to truly delivers something worth entertaining. This full-service restaurant and bar features fresh, mouth-watering cuisine, and offers a wide selection of menu that defines good eats and great memories that come along with undeniably great tasting food and excellent fun. These are paired with extensive beverage offerings which feature a wide selection of cocktails, non-alcoholic drinks, and local and regional brews. The restaurant is serving up new takes on the classics for you and your group to gather around. Whether it’s a party of two or 100, the restaurant offers flexible spaces and catering options to accommodate any group size. Even better, they have packed the place full of social games and attractions that are sure to guarantee up some friendly competition on a bowling game. The boutique bowling includes nine lanes, soccer pool, private karaoke rooms, ping pong, escape rooms, shuffleboard and foosball among others. If they are not enough, you can switch to a 50 ft — screen for sports and entertainment viewing, a stage for live music and an indoor-outdoor bar. The unique dining and game facility also offers function rooms and party rooms along with private and semi-private rooms perfect for any occasion. At Andy B’s Bowl Social, you’ll find that dining in Branson is so unique and entertaining as the tables are full of apps and a couple of drinks that can genuinely give every customer unforgettable dining experience. That’s why they create a wide selection of menu. The restaurant’s modern-American cuisine features fresh, chef-driven food great for a post-work happy hour or Friday night out with the whole family. From burgers to sandwiches, Andy B’s is serving up new takes on some of America’s favorite food. You will find it tempting if you pair that with a selection of craft cocktails, non-alcoholic beverages, local drafts and you’ll bring home memorable dining experience. Whether you order food on the lane or catch up with the family dinner in the full-service restaurant and bar, the meal that is offered to you is as celebration-worthy as the games. This unique dining place in Branson provides almost everything you’d expect from their excellent tasting food and classic bowling experience and many other fun games that will give you great memories with even more thrills. 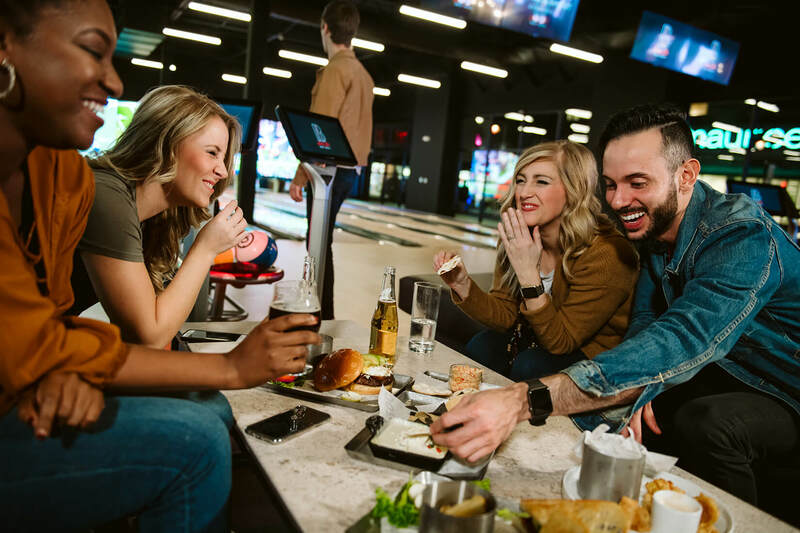 Each of Andy B’s Bowl Social nine lanes offers lounge-style seating, beverage service, lane-side food offerings, and a 50-foot LED screen for sports and great viewing. The different types of social games and attractions offered at Andy B’s Bowl Social bound to cause some friendly competition at any age. These social games include refined bowling, classic table games, soccer pool, karaoke and escape rooms alongside a certain food and wide selection of beverages. Andy B’s packed enough games in a place where you’re sure to find something you can win it. These games include foosball, ping pong, darts, shuffleboard, giant Jenga, bimini ring toss, and soccer pool plus a healthy selection of favorite board games. So, if you want to experience unique dining in Branson, try to dine at Andy B’s Bowl Social as they offer undeniable eats while you are enjoying fun games with the whole gang.